After spending more than 25 years at Boulder Meeting avoiding business meetings and what we so lovingly call “Quaker Process,” here I am poised to be your new clerk. What have you done? I was quite content to enjoy our deep and rich and communal silence without the tedium and tussle and patient work of decision making — the hard and humbling work of every true human community. I was content to avoid the necessary tensions and difficulties of really being with and working with others who hold a wide diversity of views, priorities and needs. Being asked to be associate clerk two years ago was like coming out of the safety of my back pew isolation. If I tried to describe myself, my inward being, I would say that I tend to be a loner, a mystic, a scholar, a collector of books, preferring depth over breadth, no doubt at least a little hard to get to know. Not meaning to be rude. I have sequentially read the works of Luther, Kierkegaard, Jung, Heidegger, Ibn Arabi the great Sufi, then Thomas Merton. Recently I have returned to the Rhineland mystics, Eckhart, John Tauler, also the works of the Desert Fathers of the early church, offsetting that with the great medieval feminine mystics. I’m a haphazard practitioner of contemplation, a poet and a photographer as the muse strikes. A father of three most glorious daughters, a step daughter and a step son, and now 12 grand kids, including 5 Haitians. When I was asked to be the associate clerk, one strangely useful thing I was lead to do in my discernment process was to throw the I Ching, the ancient Chinese book of Oracle. The result was hexagram #1, “The Creative”. To get that particular hexagram, the three tossed coins must fall exactly the same way six times in a row. That got my attention, to say the least! The first line in the classic Wilhelm interpretation is “The first hexagram is made up of six unbroken lines. These unbroken lines stand for the primal power, which is light-giving, active, strong, and of the spirit.” The iconic symbol of this reading is the dragon, this mythic creature uniting heaven and earth, things above and things below — spirit and earth. How wild is that! How necessary! I’m tempted to start wearing a dragon pin as a kind of totem adviser. We could use a pet dragon at Meeting. Just in case any of you have fears that I’m a rigid male orthodox ex-Lutheran in disguise, years ago now friend Denny Webster, my back bench sister for so many years, sent me off to a astrologist. (I always obey my sisters.) The star master said that in a past life I had been a religious nun, perhaps an abbess, who uncomfortably lived in a male dominated world, unhappy with her lot, but a sly and subtle operator. So you will have an ex-nun, I Ching throwing, astrologer-visiting Clerk, who reads Meister Eckhart. What could be wrong with that? I will certainly try my best to honor our Quaker ways, although at times I think we should wear our identities a bit more loosely: not quite so attached to our self-righteous personas (masks in Greek). Let’s give ourselves permission to be less than perfect, to make mistakes. Let’s try to be honest and real with one another. Let’s celebrate our diversity and not be afraid of it. If God or Hagia Sophia (holy wisdom) or Spirit (breath) loves anything, it seems she is head over heels infatuated with diversity. Just take a walk anywhere with your eyes wide open and receptive. Let’s expand our sense of joy and trust. Let’s have our holy communion of silence increase in us the courage to be real and alive: to be released and set free to serve and love this extraordinarily beautiful and so broken world. We have a unique gift to give to our community and to the world: a revolutionary encounter with the Holy Spirit in the deepest, most alive part of our souls or psyches, without dogma, without fences, released. Our shared task as community is to encourage one another on this personal and collective journey of unfolding. May it be so — together let’s discover and create. Here’s one of my more abstractly processed photos. 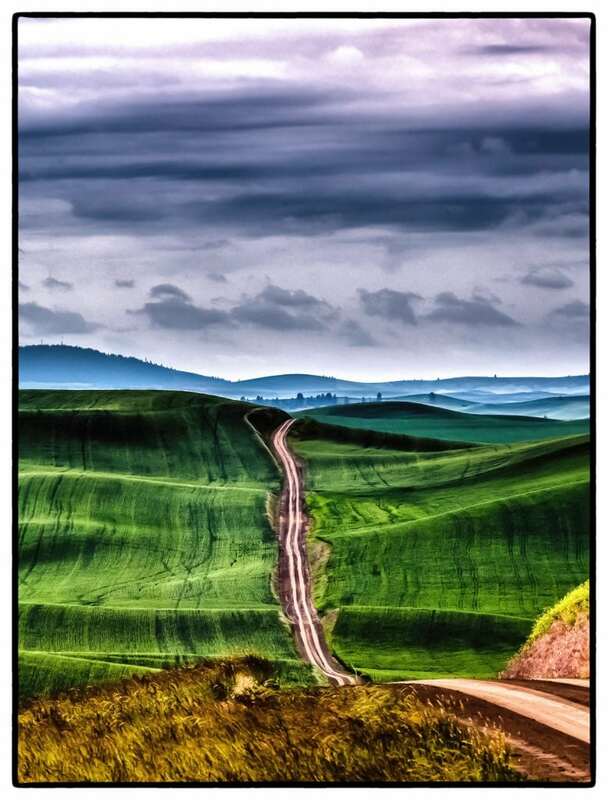 I call it “The Mystic Road to the Far” taken in the Palouse area, WA State. I am so lucky to be married to this cool clerk. Well it’s very interesting that I chose to peruse this Quaker site today as I’m the ex-sister-in-law of Susan Rose & have considered coming to Boulder Quaker meeting except there is way too much painful history (in my mind) to do so. Allen Hubbard was my oldest brother & his death brought more pain to me than I’d have thought probable. 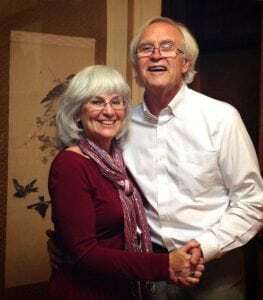 Susan (his ex) actually initiated he & her being more of a family to me during my late 20’s, early 30’s & very early 40’s to give me a sense of family, which I appreciated so much; it helped me not feel all alone in the world. My parents were Bob & Betty Hubbard (Betty being banned in Denver & then in Boulder meetings), which I understand as she also was banned from our little Presbyterian church in Lakewood back when in the 60’s & I also had huge emotional issues dealing with her. I loved her more than anyone I think in my life as a child & felt/thought a need to keep her at a distance in my adult life, which I had huge guilt about. My brother, Allen, telling me how you Quakers handled the difficulties with her helped me tremendously, since when she died I felt so much guilt (not being a “good daughter”) that the one thing I held on to emotionally was “well if Quakers banned her then maybe I’m not so bad as a doctor & another friend who I told that too said well Quakers don’t ban anyone”. I did love her so much as a child though with her wonderful bedtime stories & in many ways real quality love + I also understood her history with an evangelist father, etc. I was involved for many years with Mile Hi Church of Religious Science in Lakewood, CO as it gave me a bridge from more fundamental Christian teachings to an open-minded philosophy that included many philosophers like Emerson & also Buddhism, etc. etc. Also it taught very positive thinking, i.e. “to learn how to think is to learn how to live”. I’d like in many ways to find a place of community, but frankly am sick of the what I think/feel as the “high-minded, peace, love, dove, sometimes airy-fairy thinking of any religious/”spiritual” organization”. I, like a lot of people I’ve talked to over the years including doctors, psychologists, plumbers, truck drivers, etc. am sick of so much “self-righteous” “seekers of truth” that so many people call themselves & think my best chance for a place of community would be a place like the totally popular TV series CHEERS where everyone knows your name & guess what you just might not get a lot of judgement for being who you are. I’d consider coming to Boulder Quaker meeting except my mother’s history is as a problem that had to be eliminated & I might cause that too because of my anger. I find more happiness in nature, animals, books, skiing, hiking, beer, burgers & pizza I think. I have no desire to preach to anyone & in my years of studying religions, psychology, etc. I’d rather sit down at a bar watching the Broncos (when they win of course) than sit in some silence waiting for the “Spirit” to move me to speak. In my opinion I am the Spirit; it is me. Amen. What a wonderful blog post!! Dan and I are driving back to Tucson from Richmond so we plan to visit Boulder Friends Sunday, May 14. We hope to see you there!